unlimited accounts, queries and downloads! Download Analytics Edge Simply Free Right Now! 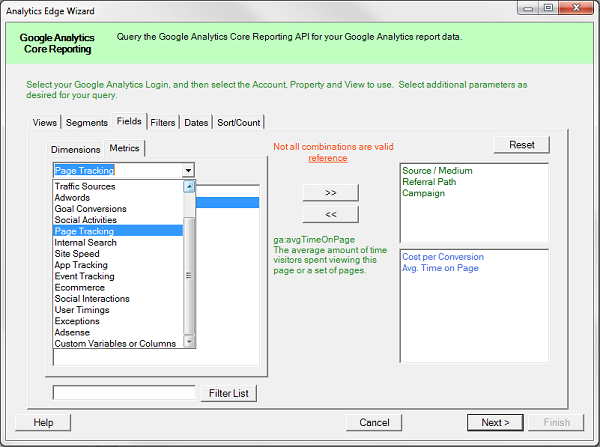 See how Analytics Edge can make your Excel report automation simple. Download your free copy now! As of April 20, 2015, Google turned off the old ClientLogin authentication used by the plugin, so you will get an “Invalid password / username” error. The development of the add-in was never really picked up by the community, so it’s design was already outdated by the time that happened. 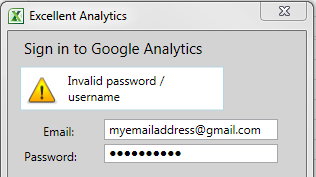 Fixing the login problem was a small part of the work required to get the plugin working again, so Analytics Edge created a free replacement for it: a better Google Analytics plugin for Excel; one that is easy to use and unlimited. It is Simply Free.